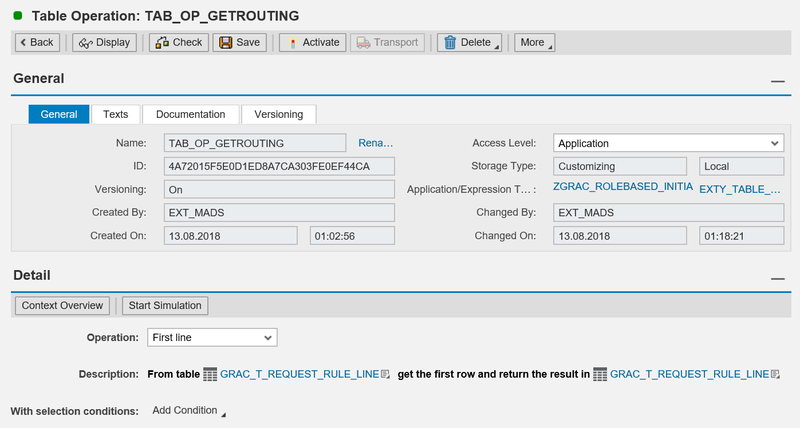 GRC request should be routed to different workflow paths based on the roles in the request. 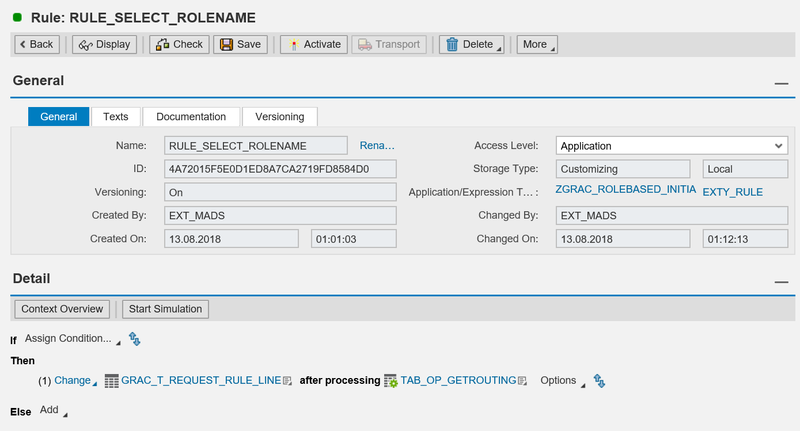 In this blog, I am explaining the BRF+ logic using the role name and you can use any of the role attributes (Business Process, Company etc.) and can achieve the same. E.g. HR roles should go to Path 1 and Basis roles should go to Path 2 within the same request. 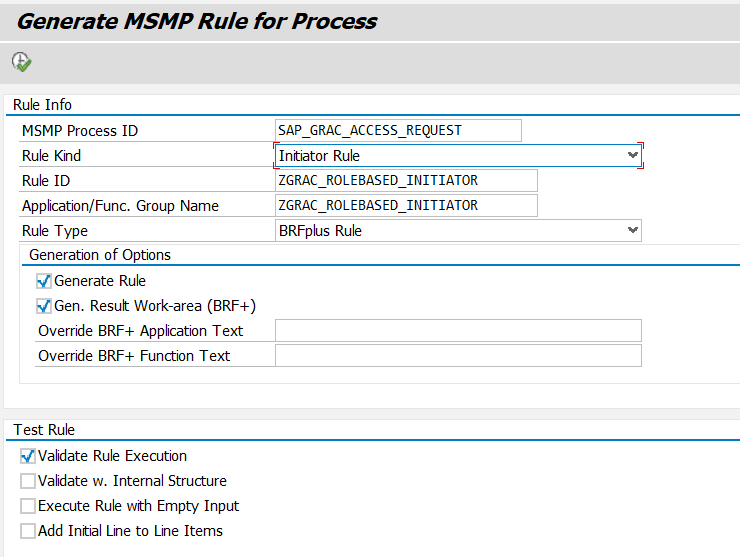 You have to generate the BRF Rule via Transaction SPRO in GRC system. Follow the below steps in your GRC system. 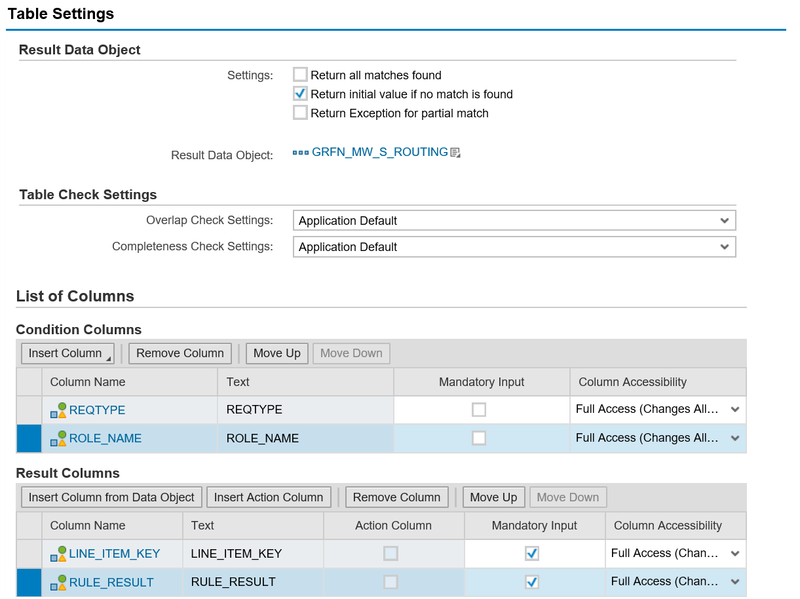 Run the transaction SPRO, Go to IMG => Governance, Risk and Compliance =>Access Control =>Workflow for Access Control => Define Workflow related MSMP rules. Click Execute or Press F8. This now generates a successful message for BRF+ Rule with name and ID. You can run BRF+ Tcode and can check the newly created BRF+ application there. 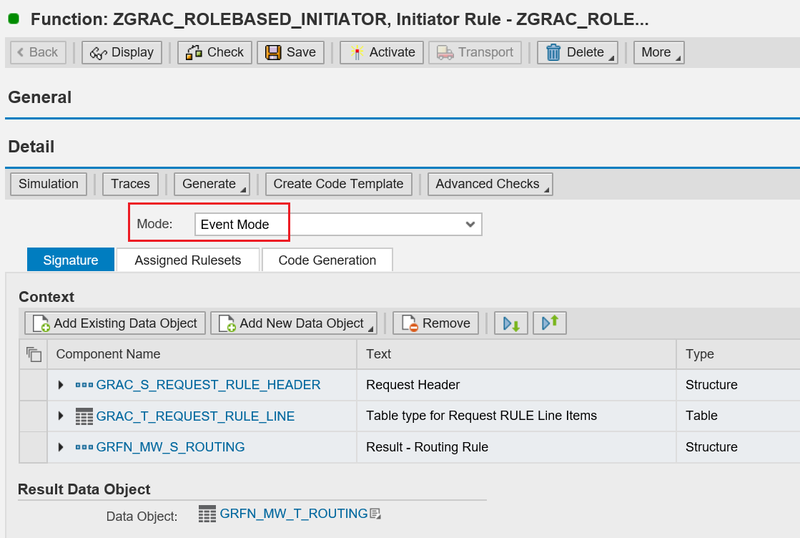 Since Function mode has been changed to “Event mode,” the result data object will get changed automatically, so it has to be reset manually. 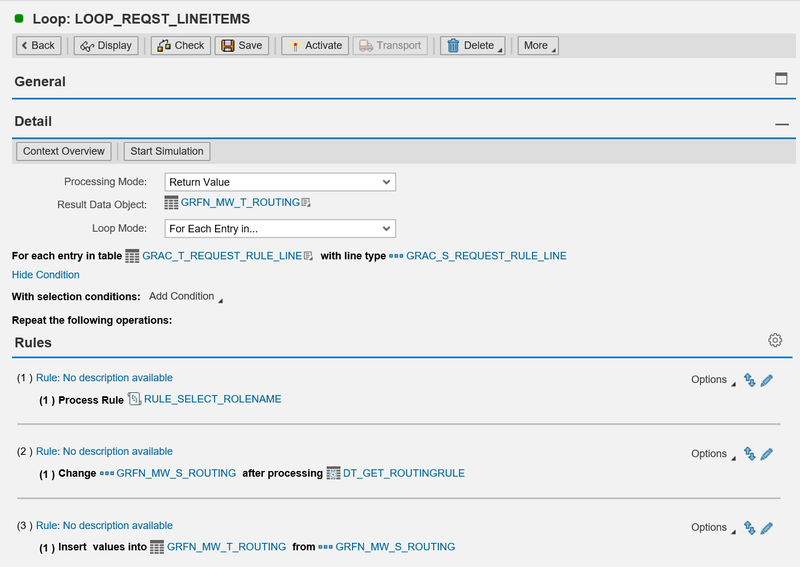 In “Signature” tab of BRF+ Function, change the result data object to GRFN_MW_T_ROUTING. Create Ruleset in your BRF+ application by clicking on “Create Ruleset” button under “ASSIGNED RULESETS” tab of function. 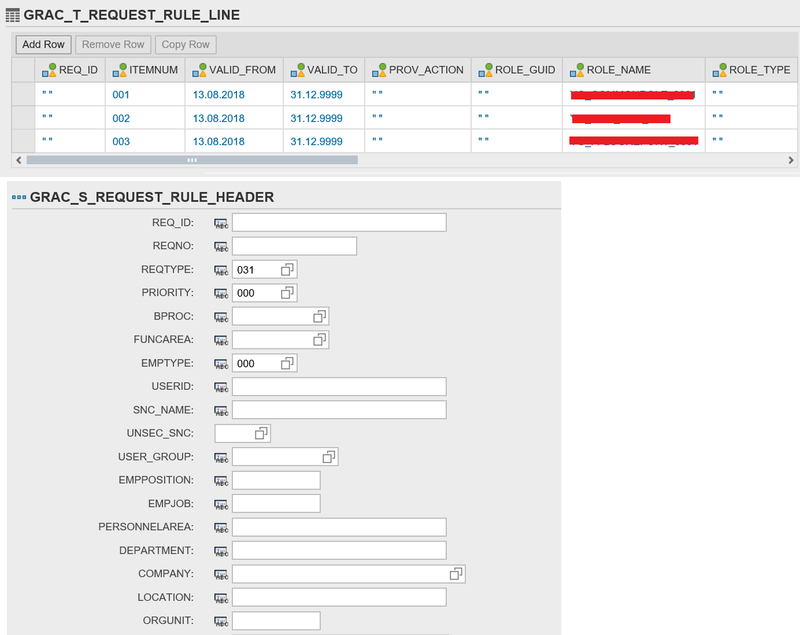 Ruleset is a combination of business rules that can only be assigned to a function in the BRFPlus framework. Loop gets created as shown below. Processing Mode and Loop Mode maintain as mentioned below. Create expression of type “Table Operation” and provide suitable name and description. Create an expression of type DECISION TABLE as shown below and create a rule change agent ID in agent ID structure after processing each entry in Decision table. Third rule is used to assign value to context as shown below. 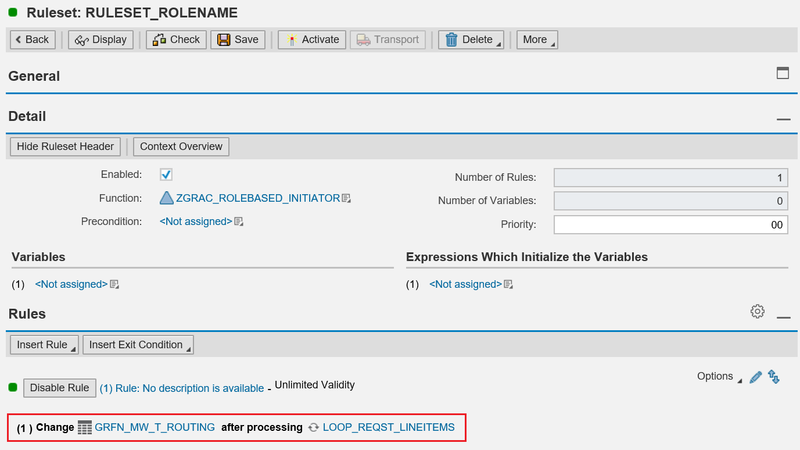 This rule will be included in your loop for inserting the values into Agent ID table after processing each LineItem. To test the BRF+ rule, I have done simulation with test data using 1 HR role and 2 Basis roles.